Crafty Garden Mom: BDSI: Boxing Day Sew In!!! BDSI: Boxing Day Sew In!!! We had a wonderful Christmas and the girls were delighted with everything Santa brought this year. Sam was so excited to get those Squinkies, she hasn't stopped playing with them all day. They are fast becoming the nuisance I'd suspected they would be when I saw their tininess and "squeeze into every crook and cranny" capability in the packaging. And since everyone in the family was "informed" by Sam early on that Squinkies were the gift of choice, they seem to be multiplying before my very eyes. Squinkies and a decided lack of motivation to clean the bomb that exploded in my family room yesterday are my reason for trying to disappear as best as I can in my sewing studio to get some much needed "me time" in after a busy holiday season. My fellow podcasters, Sandy at Quilting for the Rest of Us and Pam at Hip to Be a Square, came up with the idea of doing a Boxing Day Sew In (#BDSI on Twitter and Tweetchat.com) for those of us who'd rather stay in our jammies all day and sew! sew! sew! versus braving the "day after" sales and return/exchange madness in the stores. So the #BDSI was born. I will be giving away some great quilting books, including a copy of Simplify by Camille Roskelley and Fresh Fabric Treats from the Moda Bakeshop Designers. To get in on the action and for a chance to win a book or one of the MANY prizes, head on over to Sandy's blog at Quilting for the Rest of Us to get all the information and enter to win. And we'll be having fun on Twitter too! Not only will we be keeping one another updated on our progress via Twitter, but we'll be having special Twitter-only challenges and giveaways. Want an easy way to keep track of #BDSI on Twitter? Go to www.tweetchat.com, link it to your Twitter account, and then follow #BDSI. You'll be able to track all the #BDSI convos in one easy place! Be sure to check it frequently--some mini-challenges will have time constraints on them! What out I am coming to play! how about WATCH OUT I AM COMING TO PLAY !! Already subscribe to your podcast--love it. 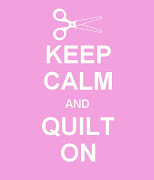 Have fun sewing today--I hope I win the giveaway! 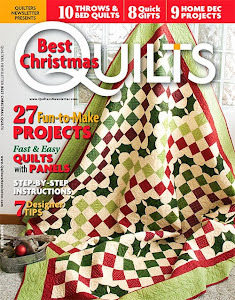 I would love to win either book as I did not receive any quilting books for Christmas! Could not quilt today, spent time with family out of town and had to leave my machine behind! I JUST found your wonderful podcasts and am up to where you got busted at McDonalds...lol. I am in St Mary's County MD and had to goggle St Michales. Looking forward to catching up to now on your podcast. PS I heard about you on Sandy's podcasts.